Here are the official results of AML Wrestling Presents: EYE FOR AN EYE which was held on Saturday, October 27, 2017 at the Winston-Salem Fairgrounds. WINSTON-SALEM, N.C. - Dec. 22, 2017 - PRLog -- The Stars of AML Wrestling returned to the Winston-Salem Fairgrounds for a TV Taping for the AML Wrestling Network on Saturday, October 27, 2017. The Extreme Horsemen (CW Anderson/Damien Wayne w/ Preston Quinn) defeated Gunz For Hire (Paul Jordane& Bill Collier). "Mr Excellence" Brandon Scott defeated "Mr. 305 Live" Zane Riley, Rayo and "Built To Self Destruct" Billy Brash to retain his Prestige Championship. 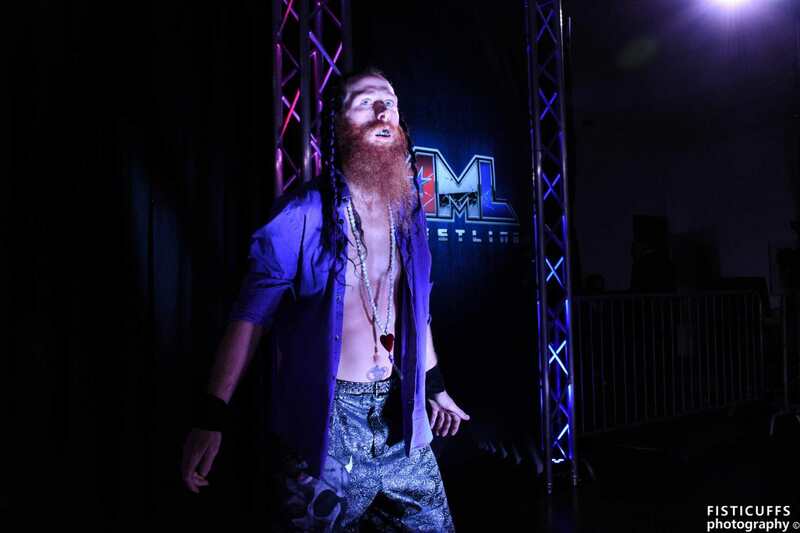 "The Renegade" Axton Ray defeated John Skyler & "The Gift" Jason Kincaid in a Triple Threat Match. "The One-Man Riot" Zane Dawson defeats Caleb Konley to retain his AML Wrestling Championship. Be sure to get your tickets for the return of AML Wrestling to the Benton Convention Center in Winston-Salem, NC on Saturday, January 27, 2018 for their 3rd Anniversary Celebration. Featuring Rey Fenix from Lucha Underground and starring AML Wrestling Champion "The One Man Riot" Zane Dawson, AML Wrestling Tag Team Champions The Heatseekers, AML Wrestling Prestige Champion Brandon Scott, Jason "The Gift" Kincaid, Caleb Konley, The Gymnasty Boys, Ethan Case and many more of your favorite AML Wrestling Stars. This TV taping for the AML Wrestling Network is family-friendly! Tickets on sale NOW at https://amlwrestling.com/get-tickets OR at Frank Myers Auto Maxx located at 4200 N. Patterson Avenue in Winston-Salem, NC 27105 OR at the door the day of the event while supplies last.